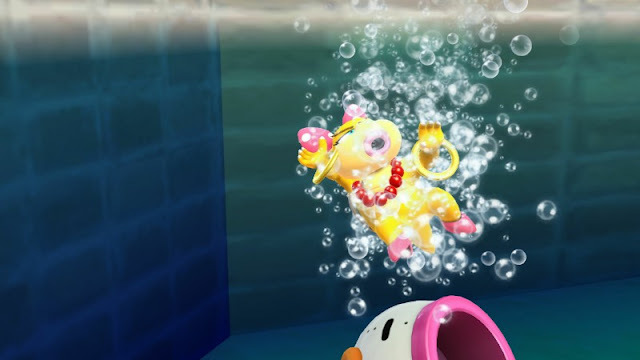 ...WELL... Do you really think someone as elegant as Wendy O. Koopa would want to swim in human crap? Uh oh... her mouth is open! The microorganisms are rushing in! But that's just one problem. 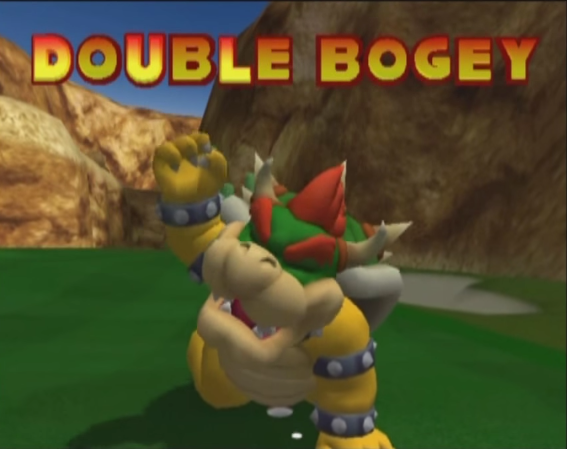 Before he was promoted to handling every event, King Bowser had a responsibility for being Team Koopa's Golfer. Well, he's joining the best golfers in the world in dropping out of the Olympics. 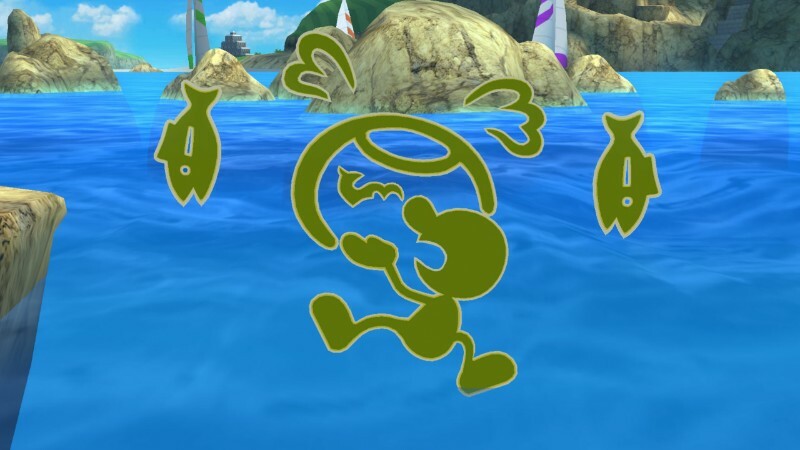 While the overlord of Koopa Kingdom considers himself a leader and not a follower, it seems like a good idea to defer to humans on the human planet who are incredibly skilled at what they do. They just might know something. A local Carioca (that's the proper term rather than something like “Rio de Janeiro-an”) seen dumping his rotten fish into the river. Things like this may contribute to the terrible air quality in the area. 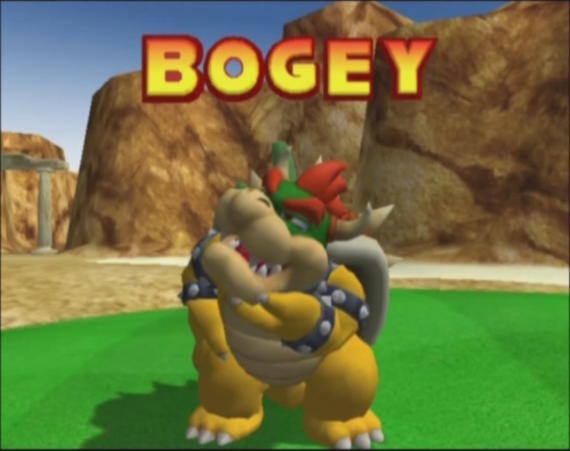 If you're observant of Team Koopa's cast, you might be wondering what happened to Dry Bowser. While MY question is why Dry Bowser exists to begin with, I do know that he — it? — will no longer be around screwing the laws of nature. Body parts reportedly washed up on a beach in Rio de Janeiro. The dumb humans haven't identified whose they are. You really want to know whose body parts were found? Now that Pokémon GO JUST (as in, today/yesterday) became available in Brazil, I bet people will find a lot more than just the remnants of Dry Bowser. There's probably hundreds of other bodies waiting to be found! Since many of those dumb human peasants playing probably don't even know what a Pokémon looks like, they might confuse my dad for a Blastoise and try to catch him or something. Best to stay away. The locals glued to their smartphones aren't just the only danger to our ex-Olympian comrades. Terrorists are eye-ing the 2016 Olympics. There is a credible threat risk that ISIS will attack Rio de Janeiro this month. Meanwhile, Rio de Janeiro has only gotten 1/6th of its target goal of security and safety guards to thwart terrorist attacks. Argh! I know King Dad... We were so close to dominating the humans at their own event. But Japan's 2020 Olympics should be a lot safer and receptive to our kind. There are just way too many problems with these Olympic Games, and in the end, it makes no sense to proceed with going to them. We'll watch some of the events from the safety of our (now-Ebola-free) KoopaTV Sierra Leone headquarters. We're in the minority here, since not even those in Rio want to watch them. But we got to give it some attention with all we've talked about it up to this point, right? KoopaTV may even live-react to some of the events and pass it off as videogame-related. You can thank Mario & Sonic at the Rio 2016 Olympic Games for that. Ludwig was originally a part of Team Koopa as the star Table Tennis player, but he left the team after having a horrible time at Rio de Janeiro, which was chronicled in the KoopaTV-exclusive drama series, How Team Koopa Escaped Rio. KoopaTV live-reacted to the Opening Ceremony, albeit with great difficulty. And now they exported their filthy mosquitoes to Florida. Which means the mosquitoes with Zika will eventually try to conquer the rest of the U.S. I am already high risk with a heart condition and hyperthyroidism while carrying a child. Now I have to worry about these mosquitoes too. They want to see how I am doing on the meds first. I am frustrated that September is the easiest in terms of workload while in October and November the workload gets heavy again and I will also be heavy as well then. I wanted to go to California for one last trip as a couple as well as be away from my side of the family. December is too close and I rather not give birth on a plane. So you want to make a trip with your husband to put a punctuation mark on your pre-mother life? Basically. And I feel travel with newborn will be tough early on even though I read it is safe for them to travel almost right away if they are born full term. It may be safe but it'll be difficult. Good news. My obstetrician says it is okay even with all the meds I take. It was the endocrinologist who was unsure. And I am sure an obstetrician deals with many like me also with similar conditions to what I have. All I can say is, I'M SO EXCITED! I wonder if California will even survive to September. It's full of murder. That's more accurately Japanifornia and in our reality the west coast state is not Japanifornia. Of course until the child is older and can form memories because we don't want to be awful parents who goes on amazing trips with children before they can actually form memories of said trips *glares at own parents* and Calkfornia is at least easier to travel to again compared to Japan. We need to balance before child has to go to school because firefly squids shows are seasonal and are around the April and May months and good luck trying to convince schools why you are taking out the children for a temporary time during the school year. Yes, Splatoon inspired us some trips to create. Maybe you can homeschool your kid and only have to explain things to yourself. If he is really the plumber that he says he is, Mario should help by sanitizing the facilities like he did in Isle Delfino. Will plumbing be the next Olympic sport? I didn't think plumbing could even be a sport in the first place, but apparently it is to somebody (whose name is probably Mario).